"I was so devastated by the loss of my dear Samantha, after 14 years together, that I just wanted to keep her with me in some way," said Barbra Streisand. 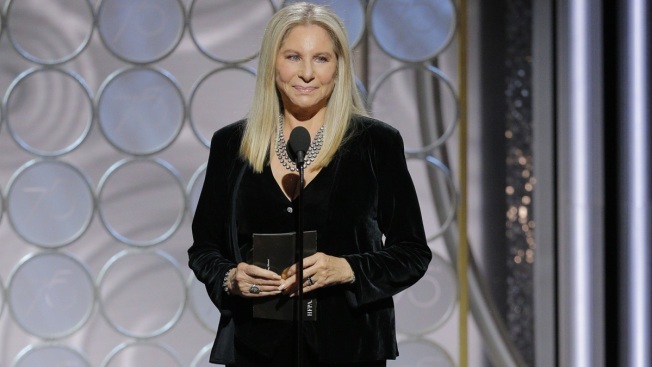 Presenter Barbra Streisand speaks onstage during the 75th Annual Golden Globe Awards at The Beverly Hilton Hotel on Jan. 7, 2018 in Beverly Hills, California. Barbra Streisand is opening up about the decision to clone her dog. In a newly published piece in The New York Times, Streisand writes exactly why she decided to go through with the cloning of her Coton du Tulear, Samantha, who passed away in 2017. "I was so devastated by the loss of my dear Samantha, after 14 years together, that I just wanted to keep her with me in some way," the Hollywood icon explains. "My Sammie was curly haired -- she was the odd one, different, just like I felt as a little girl," she continues. "One of the reasons I chose cloning was because I couldn't find another curly-haired Coton [du Tulear]." In an interview released earlier this week, Streisand revealed that her two pups, Miss Scarlett and Miss Violet, were cloned by taking Samantha's cells from her mouth and stomach. After their birth, she dressed the pair in red and lavender to help tell them apart, hence their names. "It was easier to let Sammie go if I knew I could keep some part of her alive, something that came from her DNA," Streisand continues in her essay. "A friend had cloned his beloved dog, and I was very impressed with that dog. So Sammie's doctor took some cells from inside her cheek and the skin on her tummy just before she died. And we sent those cells to ViaGen Pets in Texas. We weren't even sure if the cells would take." After getting a call from the lab that the cloning process was, in fact, successful, Streisand was informed that it had produced a total of four puppies, two of which the actress has brought into her family. "We love them so much," she says. "Each puppy is unique and has her own personality." And while having a clone of her dog might have helped in the healing of her broken heart, the star admits that nothing will ever replace Sammie. "You can clone the look of a dog, but you can't clone the soul," she reveals. "Still, every time I look at their faces, I think of my Samantha."